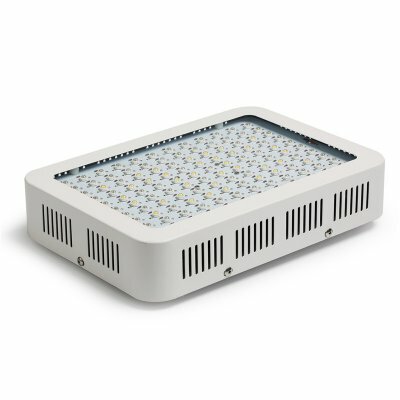 Successfully Added LED Grow Light - 120PCS LED Lights, Low Noise Fans, 6130Lumen, 50,000 hours to your Shopping Cart. Use the full spectrum red color, blue color, cool white and warm white combination for plants. It's good for growing stronger and flowering colorful. High par value is more promote the growth of plants. Double Electrode, more efficient than traditional LEDs. High-temperature protection function. Powerful Cooling 2 Fans System, cooler and quieter. A big aluminum cooling heatsinks are easy for heat dissipation.